VerseVisions™ is a contemporary Christian art ministry whose purpose is to share the love and message of God to all people through art and scriptural words of encouragement. VerseVisons™ Christian themed paintings are inspired by bible verses. Share your faith through Christian themed artwork! Psalm 3 3. A Shield For Me. VerseVisions™ Christian Modern Art. Copyright 2018 by artist Mark Lawrence. All Rights Reserved. This large format Christian themed modern fine art giclee is available as an artist signed and numbered edition, and as an exclusive ultra-hand embellished edition. These exquisite collectible pieces are completely contour over-painted by hand, signed, numbered and certificated by artist Mark Lawrence. Editions are exclusively available for collectors at MarkLawrenceGallery.com. 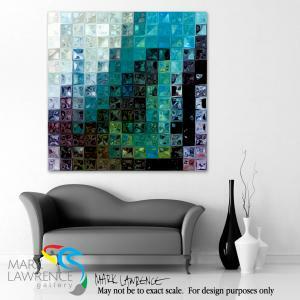 Contact customercare@marklawrencegallery.com if we can assist you in any way with your Mark Lawrence acquisition.